While providing direct service may be the core responsibility of your job, effective documentation tracks and details the needs, services, goals, and progress of the person served. The quality of your documentation also impacts decisions that are made about the services the person is receiving, ensures that all members of the care team communicate important details about those services, and ultimately, affects that person’s quality of life. This course will teach you the significance of documentation in your work with individuals. 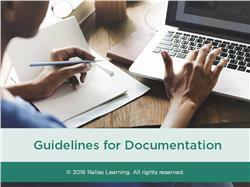 You will explore the importance of timeliness and accuracy in documentation and learn what to include to produce meaningful documentation. 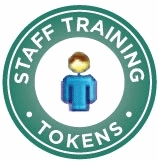 The learning experiences will include interactive activities to enhance your understanding of the material. Explain the importance of documentation. Describe how to document accurately, concisely, and objectively. Identify the most important elements to include to produce meaningful documentation. Kristen achieved a Masters in Rehabilitation Counseling from The George Washington University. Kristen has experience working with individuals diagnosed with Schizophrenia in settings including Vocational Rehabilitation, Assisted Living Facilities, and Community Support Services. Disclosure: Kristen Fuchs MA, LPC, CRC has declared that no conflict of interest, Relevant Financial Relationship or Relevant Non-Financial Relationship exists.